The trend of negative statistics continued in 2010 but the numbers are not as critical as they were in 2009. Reports show a decrease of sales in low and high-end markets while the best-selling middle range remained strong. LJUBLJANA, Slovenia – The trend of negative statistics continued in 2010 but the numbers are not as critical as they were in 2009. Reports show a decrease of sales in low and high-end markets while the best-selling middle range remained strong. Many of the Slovenian entrepreneurs from other sectors would have a big smile on their faces if their numbers were as strong as they are in the cycling sector. 2010 was not easy year for Slovenia, with delayed effects of the global financial crisis and mistakes from privatization hitting harder than ever. The traditionally strong construction sector was destroyed, so were some others and all of this had a big effect on banking. 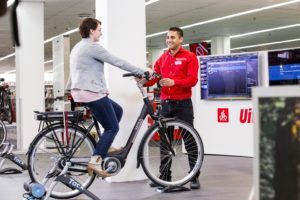 In the short (and long) term this could also effect the bicycle dealers who depend on bank loans – that are now harder to get and more expensive. Despite all this 2010 was a solid year for most of the distributors and dealers (in most of the cases they are one and the same companies). 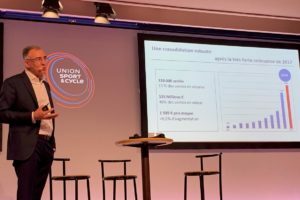 On average they report a 7% decrease in volume and just 3% decrease in value of the sold bikes with just a small amount of old bikes on stock (based on questionnaires sent to bigger distributors). Statistics from Eurostat are even better – a 7 % decrease in quantity and only 1.4 % decrease in value. 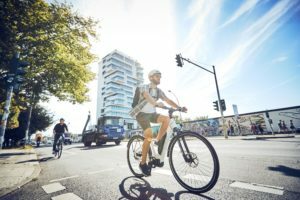 The bicycle market is still worth over €14 million with more than 92,000 units sold. However the market did change and these changes seem to have a direct connection with the general economic situation in the country. Basically all distributors report less sales in entry level bikes and many of them also saw drops in high end sales. Middle range bikes – for Slovenia that means from € 800 to € 2000 – are still selling well. Together with this distributors are also more careful in their expenses and all of them are working harder to reach new customers. When we compare imports and exports we get an actual consumption figure of just under 80,000 bikes (about 5,000 less than in 2009), which shows that the bicycle market is not that much effected by general atmosphere in the country and this is still a healthy branch. Interestingly, most of the distributors agree that weather still has the biggest impact on the bicycle sales. We will see if this is correct in one year from now – 2010 had a long and strong winter with many rainy summer days. 2011 started with incredibly high temperatures and bike season is already in full motion. Hopefully it will stay like this throughout the season. What we don’t see in this statistics are sales of components and gear, where a small market like Slovenia is very vulnerable and the success of UK and German internet stores is most obvious. The Slovenian market is almost exactly split between Asia and EU with Taiwan and Italy still remaining the biggest suppliers. They both kept about the same quantities while Belgium jumped to third place before Cambodia, now the 4th biggest supplier. Close behind are Germany, Thailand, Malaysia and Austria, all with 5-6 thousand units. 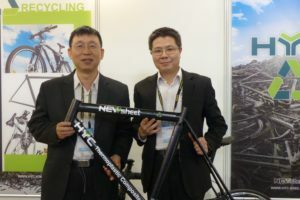 China is still very low on the scale but we know that many of the bikes that are listed to other countries are actually made there (for example bikes from logistics centers in Belgium and Netherlands). Total imports to Slovenia in 2010 reached 92,500 units (minus 7 %) but value remained the same. From this we actually get the only positive trend – average bike price has gone up 6 % to an all-time high. Exports are still almost nothing despite the different statistics – these are bikes that were imported to Slovenia and then shipped further to other countries. After many interviews with distributors we can report that mountain bikes are still the most desired – on average they represent 54% of sales, and up to 90% with some brands. Trekking and cross bike hold another 25%, the remaining 20% is split between all other classes. We would expect better sales of road bikes on the basis of road events and the increased number of riders on the roads but figures shows a different kind of picture. There are of course some dealers that base their business on road bikes but they don’t have a bigger impact on the whole picture. On the other side Slovenia is still a mountain country with countless fire roads and trails, so no surprise that mountain bikes are still leading. The number of IBD’s remained about the same in 2010 – about 150 to 200, depending of your definition of bicycle shop. Production is still low, however there are strong rumors that bigger assembly lines with possible welding facilities will be set up in the near future somewhere in the country. For now everything is very secret and information hard to get, but for sure we will follow this story that could drastically change the picture of the Slovenian bicycle sector. 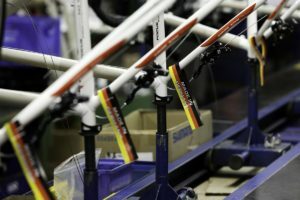 Don’t forget – Slovenia already had a big manufacturer Rog bikes (later Elan bikes) that closed in 2004/05 due to bad decisions, but the skills and knowledge stayed in the area.